Our goal is to bring tons of flavor to Main Street! From craft beers and spirits to locally-sourced produce, or fresh/never frozen proteins to house-made desserts, we are bringing something that has been missing from the Albion area for a long time! In 2015, when the idea for our restaurant was born, the plan was to feature a beautiful and spacious dining room at 39 North Main Street. Since that time, we have run into one problem after another. In 2017, we realized that the large dining room will have to wait until "someday" and we accepted that we have 39 Problems. A never-dying sense of humor always makes it easier to deal with life's challenges! We began our journey opening a takeout and delivery restaurant at 43 North Main Street in 2017. Early 2018, we opened our bar and dining room at 41 North Main Street after a major renovation took place, including completely remodeling 43 to become our kitchen where a kitchen never existed before. By mid-2018, the storefront at 43 will be completely replaced and our new customer service area for takeout will feature some cool new surprises for Albion. In short, in order to get to 39 and end our “problems”, we had to start at 43, have grown to 41, and hope to someday be back to a more manageable 39 Problems! See you on Main Street! From Johnnie Ryan craft soda to ever-changing craft beers to cocktails created with local craft spirits, we celebrate with other small businesses on our beverage list! I took clients there for lunch, very good food and very fair prices. Looking forward to going back. Love the decor and blues music. I don't know if I like the staff, the food, or the atmosphere better. Seriously, I love going there and seeing what new food items the cook has cooked up. Really love trivia night. It is friendly competition. 2nd time out for dinner at 39 Problems and loved it both times. Had the vegetable stir fry and it was delicious. My husband had the smoked prime rib and he said that was the best tasting prime rib he ever had. I tasted it and he wasn't kidding. First time was just as wonderful. Price is Right also. Will be back to 39 Problems. They are an obvious welcome addition to the town. Could be the beginning of a hub of commerce. Really great owners, and the staff are friendly, welcoming, and with a solid menu ranging from standard fare to some unique choices. They have good drinks, clean wooden floors and tables with a modern touch. Great place for friends and family. Pretty decent little place in albion. I've lived her pretty much my whole life and it's good to see a fresh, functional business coming to albion. 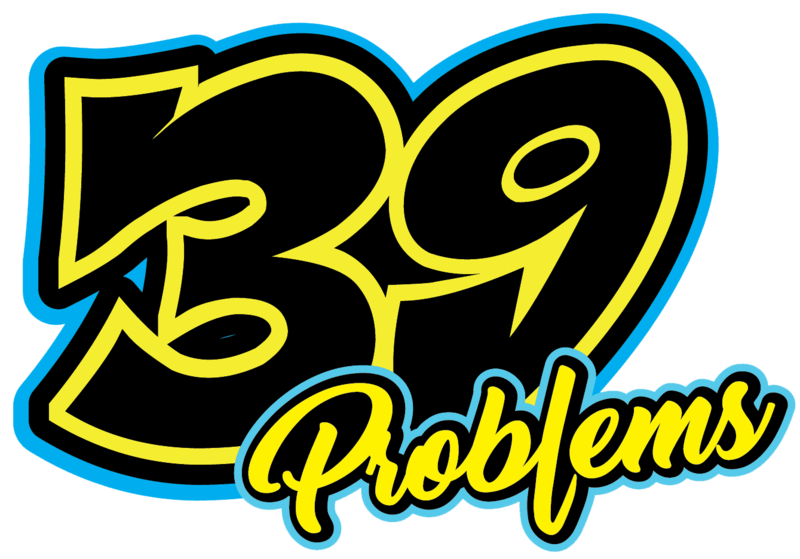 39 problems is a great boost to the nightlife in town and is an excellent option for diners in town to sit down and have a meal. Food is nice service is excellent and atmosphere is fresh. What a gem! Stopped in for lunch while on a bicycle tour and was delighted. Attentive staff, fantastic food (including legit vegetarian options), steam-punk meets post-industrial interior design touches, IMMACULATE and beautiful restrooms (extra appreciated when you’re tent-camping for months on end) and a range of beer and wine choices to boot. Would definitely frequent this place if I lived in the area. Try anything on the menu that has the basalmic reduction and don’t skip dessert. Very trendy interior, dont let the outside fool you. Very good food. Our wsitress was top notch and friendly and really took an interst in making sure we were happy. Some really good menu items, very inexpensive. Smoked prime rib is to die for. A must try place. Friendly staff and comfortable atmosphere. Is a good place for a quick lunch like pizza. Or an exotic dinner. Has a bar, for a night cap. Serves beer, wine, and mixology drinks. Delicious food!! My friends, one had a Rueben, one had The sandwich with Turkey and coleslaw, and I had the berry salad with chicken. Well all liked what we had. Cozy little place with a bar and then tables for the diner's. I would go back again if I ever get down that way again. Got the Buffalo chicken wing pizza last night. Uncle Sals had the best wing pizza in the area so tough competition. Was absolutely delicious. Found it odd that they put carrots on it. But I actually loved the added texture. OMG those shrimp rolls are amazing! !! So nice to have something different around here!!! Great food and prices, friendly and attentive staff and owners. We tried the Cuban sandwich and it was awesome!!! This was the first time we ordered food. Took advantage of the daily coupon and received a full tray pizza, 24 traditional wings, cheesy bread sticks and a 2 liter bottle of soda. Absolutely loved the pizza....crust was great. The medium wings were zippy and the Carolina gold wings had a sweet smoky taste. The women who waited on me were super helpful by assisting me to get everything to my car. We definitely will be back!!! Definitely will be back!! Great prices an great food. I tried the strawberry cheesecake and it was amazing! I loved it. Awesome food and awesome prices!!! Definitely will be back!!! Nam Nam Nam. I want more shrimp rolls :-) They were sooo delicious. LOVED LOVED THE CUBAN SANDWICH AND MINESTRONE SOUP! NO PROBLEMS - so I personally renamed your restaurant "39 MAIN". So nice to have a local place with so many options. Seafood chowder is incredible. Their pizza sauce is so good and fresh. Love that they serve cannolis as well! Great food!! !